With only a third of NHS Trusts offering Wi-Fi to their patients and visitors, what is holding up the roll-out of Wi-Fi technology? From checking your email over a coffee in Costa to convincing colleagues you are still hard at work while watching the cricket at Lords, our need to be always connected is convincing venues across the country to soup up their technology and offer us speedy Wi-Fi surfing, often for free. But there is one organisation that seems to be holding back where others are pushing forward – the NHS. 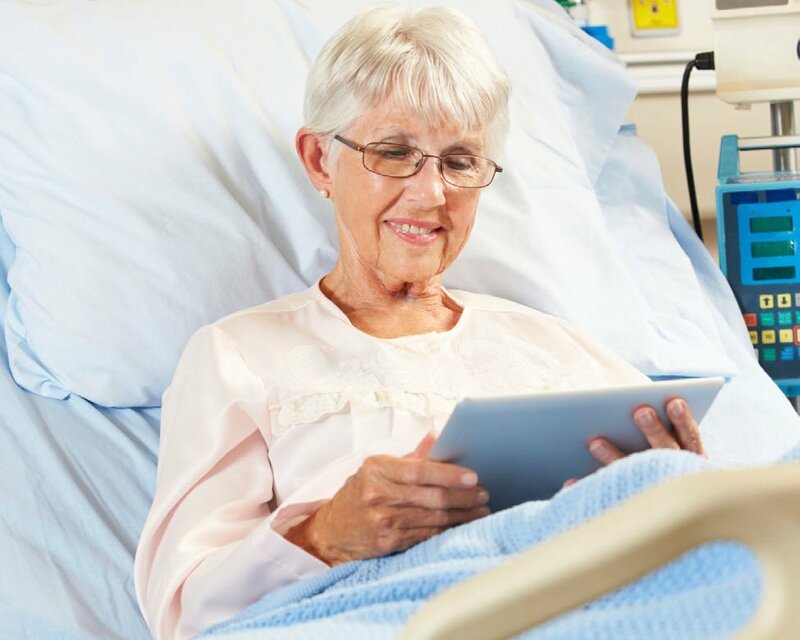 A recent freedom of information request by Enterasys Networks shows 64% of NHS Trusts don’t offer Wi-Fi to their patients. Instead, systems from third-party suppliers – often in the form of bedside trolleys – give limited access to the internet at a substantial cost, sometimes up to £10 per day. With the average length of stay in hospitals coming in at around one week and the average cost of each bed being £400 per day, it seems like a missed opportunity to improve the patient experience. What’s next for mobile IT in the enterprise? So why has the NHS failed to bring its connectivity in line with the private sector - and can we expect to see a change? Those who do use Wi-Fi have had very positive experiences. Andy Evison, technical project manager at The Walton Centre NHS Foundation Trust, has had great success with his Wi-Fi roll-out, enabling patients in intensive care to use tablets for communicating with loved ones and doctors, even if they are unable to speak. “We have offered free Wi-Fi for quite a while and it is very good,” he says. “It is quite restrictive in its use, it is not very good for mail on the usual ports for example, but it can do webmail and things like that. Patients can use it, relatives can use it and now we have an opportunity to use it for the intensive therapy unit (ITU) and it has been really well worth it.” But there is no national programme for the NHS as a whole to look into bringing Wi-Fi technology to its hospitals. A Department of Health (DoH) spokesman told Computer Weekly: “Hospitals make their own arrangements on Wi-Fi - there is no national contract. We would expect the local NHS to negotiate the best deal for patients.” A report from the NHS Confederation makes vague reference to the issue, saying “the conservative approach is changing” and more hospitals are rolling out Wi-Fi. But is this good enough? As Evison suggested with the Walton’s ITU deployment, Wi-Fi technology could bring more than just a chance to check Facebook. Harley Street psychotherapist Jennifer Dew believes connectivity could improve a patient’s recovery time. The main fear of many lies in security. Many still view wireless networks as less secure than wired and in an age where the NHS is coming under increasing scrutiny when it comes to data loss – and has the Information Commissioner’s Office (ICO) ready to impose fines for any breach of the Data Protection Act – the idea of having an open network for anyone to use can scare even the technologically savvy. Phil Martin, IT manager at the privately run Princess Alice Hospice, admits this was something the hospice had to strongly consider when rolling out its own Wi-Fi infrastructure. “I think for us we had to have a really careful think about how we would provide it,” he says. “Given that our electronic patient system record system is online, we had to be very careful about separating the networks out, so we could offer an effectively public access to relatives and visitors but, at the same time and using the same access points, being able to provide access for authorised users, such as medical staff to the patient record system. As budgets become tighter and tighter in the public sector, the idea of adding to the burden with new technology could put hospitals off. “It is purely down to something else on the never-ending mountain of things that people have to manage,” says Evison. John Popham has been campaigning to get free Wi-Fi access in all hospitals for around four years after facing testing times with his own family. “My step-daughter was in and out of hospital a lot when she was growing up, so I have personal experience of her missing out on school work, but there are more people that are affected,” he says. “As well as access to school work if you are a child or your usual work as an adult, there is the isolation you experience. In the modern world, where we are used to communicating all the time, not being connected makes you feel incredibly cut off from the real world.” Popham also says there is a real pressure felt by parents, relatives and friends to be physically in the hospital with the patient. Popham says most of the people he spoke to were already on his side, believing Wi-Fi should be installed across hospitals for free, but it isn’t these people he worries about. “The problem is, talking to management is like talking to a brick wall,” he says. “Some of it is a lack of understanding, others think it is a ‘nice to have’ thing but not a priority. Then of course you get the speech about the NHS being under-resourced and that’s another reason it isn’t a priority, or the fears around data security. Popham admits that, since his campaign began, there have been some changes. So, the good news is more hospitals are embracing the technology and rolling out Wi-Fi, but the bad news is the change is not happening fast. It will take a lot more evangelists in the NHS and noise from its patients to make free hospital Wi-Fi finally ubiquitous.